Join your colleagues interested or investing in the area of education for a collegial meeting to network, share updates and information, and engage in conversation. 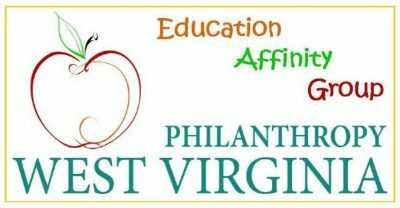 The Education Affinity Group (EAG) is a peer network and learning group of Philanthropy WV members interested in or investing in education through grants and scholarship programs. Participants are all grantmaking foundations (private, family, community, or corporate), corporate giving programs, and/or individual philanthropists. Philanthropy West Virginia began the EAG in mid-2015 originally chaired by Dr. Jim Denova, Vice President of the Claude Worthington Benedum Foundation. In 2017, Stephanie Hyre, Program Officer of The Greater Kanawha Valley Foundation and Adam Sanders, President of the Roy & Gwen Steeley Foundation became co-chairs of the Education Affinity Group. The EAG meets quarterly at different locations in the state with different education expert presenters to identify areas for improving education, collaborative grantmaking, and/or policy/education development in the state of West Virginia. Through each community, region, district; the Education Affinity Group meets quarterly to participate in presentations by education leaders and to discuss different ways on improving the short-term and long-term education issues and needs of our students our state (from the local to the state level) with the leaders from the students, to board members, to teachers, and parents of the children. At the heart of the EAG, it is about making sure the investments made by foundations, corporate giving programs, and individual philanthropists provides our students now and throughout the future with the best education for life-long success. Philanthropy WV’s staff provide coordination of the meetings, programs, and speaker selection as well as identify areas for philanthropic collaborations to enhance the education system in the state. To join any of these meetings, please contact info@philanthropywv.org for more information!